Resort La Villa Loti in full bloom. 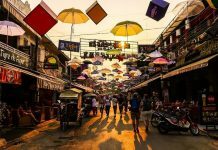 In a densely tourist-populated town riddled with a multitude of accommodations of all shapes, sizes and types, what more could one offer? 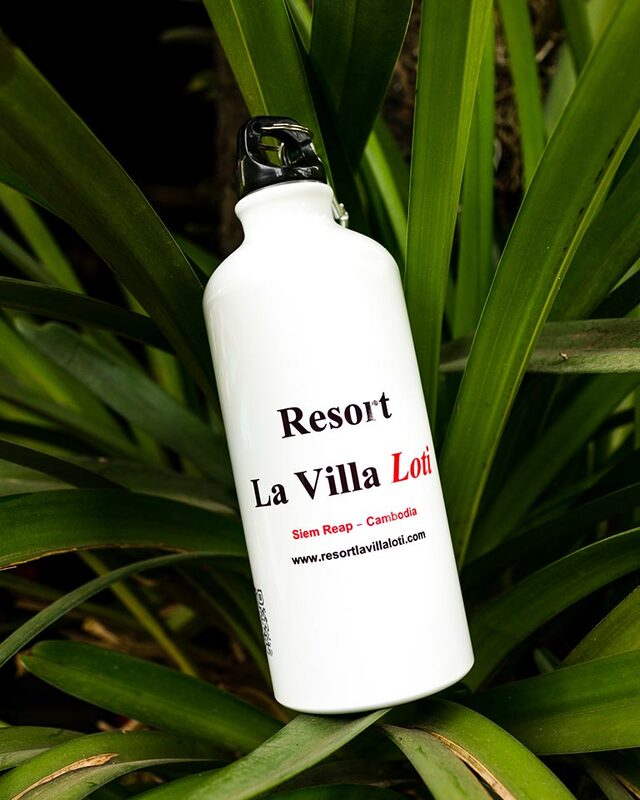 The Resort La Villa Loti makes a good case to stand out. 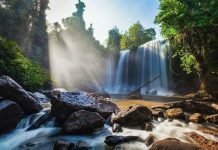 Fancy, charming, cheap, rustic, homely, party-scene, serene, touristy, nature-friendly – there is no shortage of adjectives to describe the guest accommodations in a town whose number 1 product is tourism. 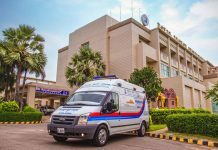 Siem Reap’s hotels, hostels and guesthouses have to be in order to differentiate one from another, in an effort to be number 2 in one’s list of best memories in Siem Reap (number 1 would likely be the Angkor Archeological Park, naturally). 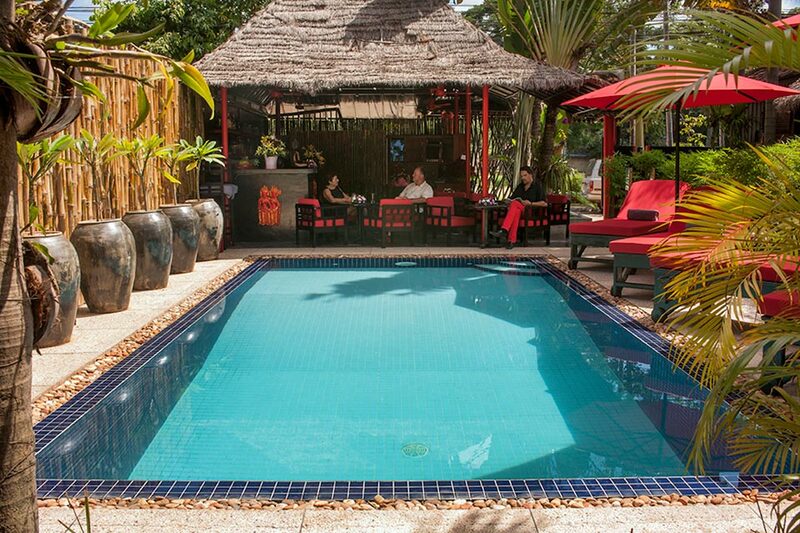 Enter, Resort La Villa Loti, one of Siem Reap’s best-kept secrets, a hotel that comes in between the two, both literally and figuratively. The resort’s name was inspired by the great French explorer and novelist, Pierre Loti, who at a very young age, had been fascinated by the mystique of Angkor Wat and in 1901, he made the journey to the then-freshly rediscovered ancient ruin by an ox cart, making his dream a reality. The famous travel writer is known for his exotic books and it is with that same striking zeal that the Resort wishes to convey. 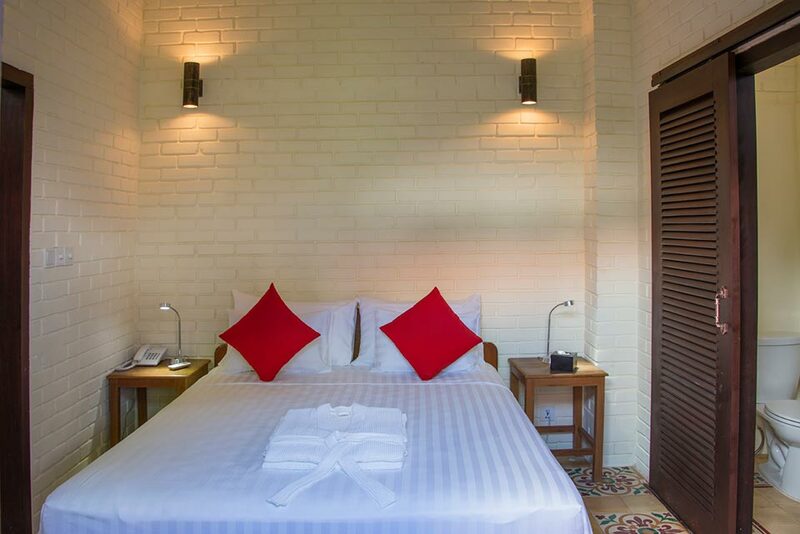 Resort La Villa Loti is located in between the densely populated downtown Siem Reap and the world’s number one tourist destination, Angkor Wat. In a sense, guests would get the best of both worlds and everything in between. 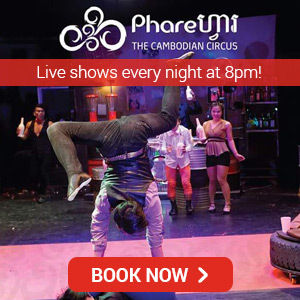 Situated at 255 River Road, the hotel is close to nearly all kinds of attractions – in the morning, guests can take a tour to the Ancient City of Angkor which is only 15 minutes away and in the evening, take in the offerings of the town of Siem Reap which takes roughly 8 minutes, both via tuk-tuk (remorques). 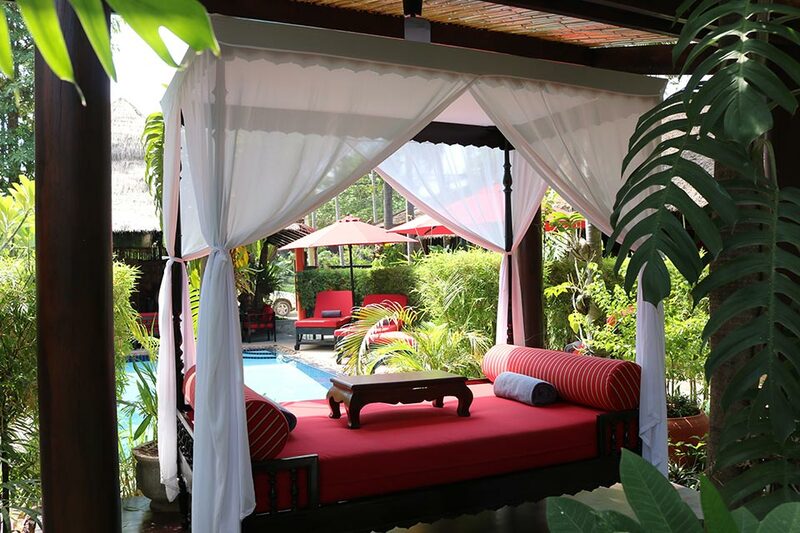 The hotel is tucked away in a tropical oasis opposite the Siem Reap River which is sure to add to the romantic feel of the place while its swimming pool, surrounded by a lush garden will surely emit emotions of inner peace and serenity. The poolside and its natural beauty. 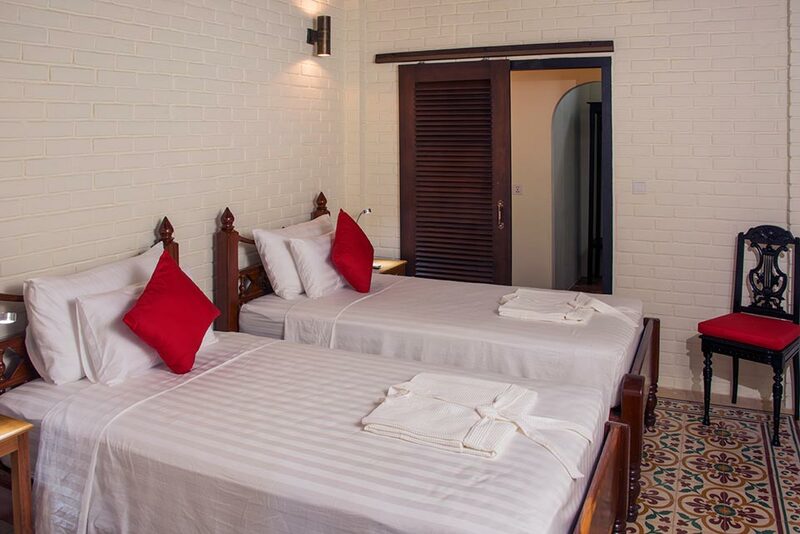 The hotel building used to be the home of a local middle class family and while renovations have taken place, the original form is still very much in the style of a traditional Khmer house. But traditional certainly does not mean lacking as it has all the forms of modern luxuries that a resort can provide. 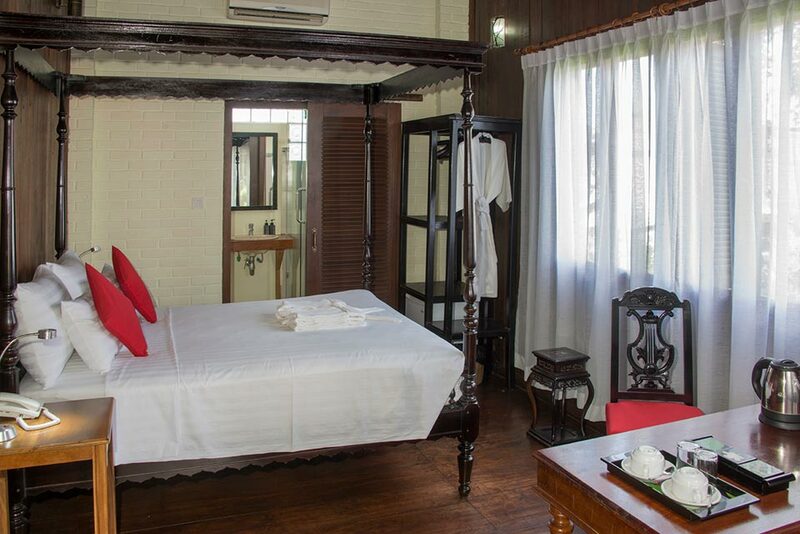 And with just 2 deluxe rooms and 2 suites on the ground floor and 2 deluxe rooms and 2 superior deluxe rooms on the upper deck, a personal and intimate experience is guaranteed. 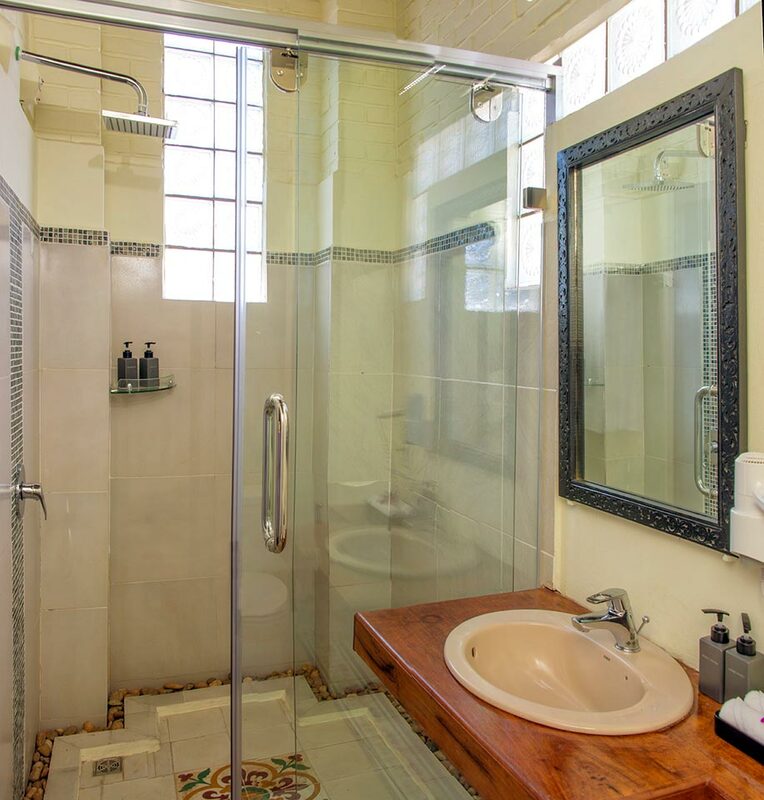 Bathroom with all the modern amenities. Given the intimate setting of the two-story guesthouse, Resort La Villa Loti would best cater couples and honeymooners but in no way are solo travelers or families excluded from experiencing this tropical haven that guarantees to be a home away from home. Views that provide nourishment for the soul. Margy and Pascal are the owners of the resort and surely guests will recall their names synonymously with Resort La Villa Loti. They are more than the brains behind this venture; one could even say that they are the heart and soul of this resort as they have dedicated their lives to providing guests with a truly unique and bespoke experience. And that is where the differentiation lies. 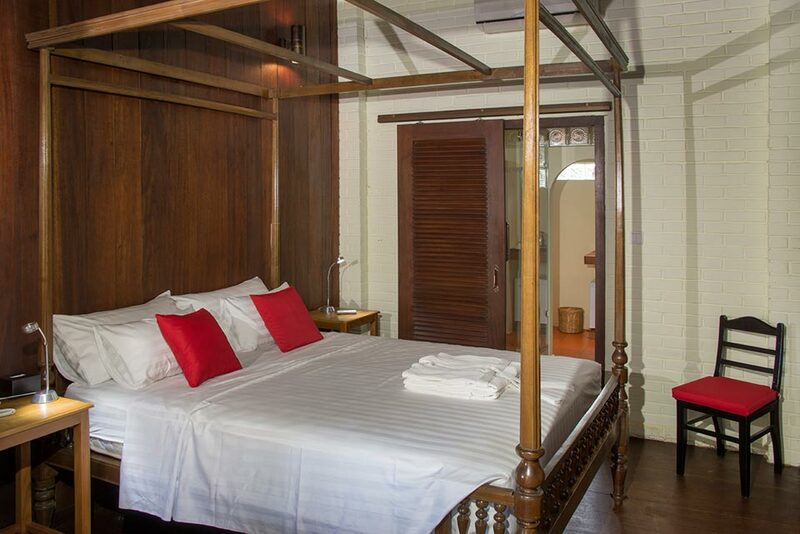 The hotel is small by lodging standards but big on experience and features. The total number of rooms – just 8 was chosen purposely, as Margy and Pascal pride themselves in accommodating every need and want of their guests. 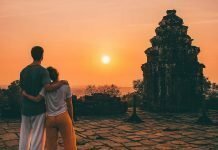 Margy and Pascal are both from the Netherlands but it was the former’s love-at-first-sight with Cambodia in 2014 that led to the conception of Resort La Villa Loti. She brought Pascal along and in 2015, they opened the hotel and never looked back. Both of them are in the hotel premises 24 hours a day, 7 days a week and 365 days a year, always on the lookout to help lodgers and keep them pampered. Poolside pampering is the best way to go. 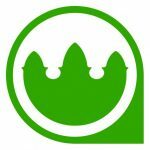 The Dutch nationals are no ordinary owners as they are literally hands-on with their guests. 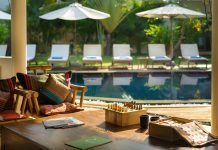 Upon arrival, Margy sits down with the guests to introduce them to the resort, the rich history of Siem Reap and Angkor, and provide insider tips essential to each traveler. An insider tip she likes to share is that her favorite spot in town is the King’s Road shopping village (across the river from the Angkor Trade Center) which features the “Made in Cambodia” Market that sells only locally-made products and her favorite restaurant, The Embassy which specializes in fine-dining Khmer gastronomy. In terms of pampering, Margy is highly adept in providing facials, manicures and pedicures while Pascal, on the other hand is a certified therapist and it was his profession before moving to Cambodia. Shiatsu and deep tissue massages from the owner are readily available. Aside from therapy, Pascal prides himself on being a well-respected vinologist, so even one’s preferences in the delicate drink will be tailored accordingly. Visitors will definitely feel that they are in great hands with Margy and Pascal’s exuberance, thoughtfulness and attentiveness to each and every thing and every one! Patrons will also be delighted with the newly renovated in-house restaurant, Pierre Loti, which offers dishes that feed the body and the soul. 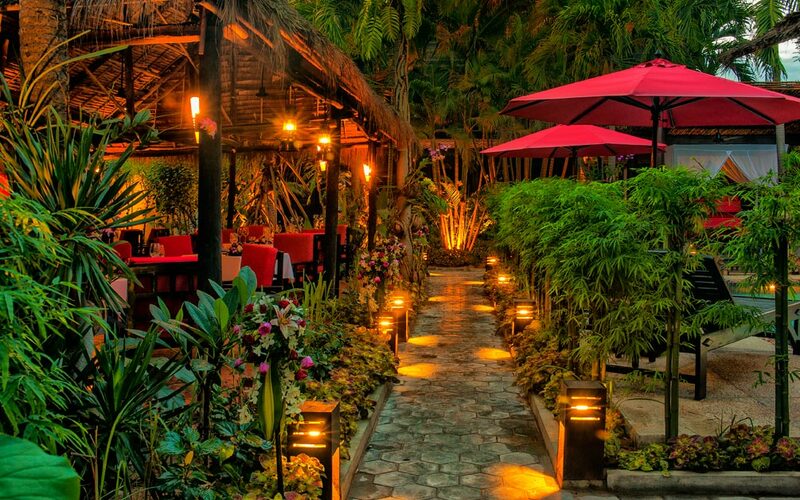 The restaurant specializes in authentic Khmer and Western dishes while offering unique Dutch meals as well. Visitors recommend the Dutch classic, Bitterballen, which is a fried mixture of ragout made with either beef, chicken or shrimp. Patrons could also try Broodje Kroket, a homemade croquette on a bread roll famous in The Netherlands. One may lounge in the intimate setting of the resort’s atmospheric bar while sipping on refreshing cocktails and sampling their small snacks. While in the pool-lounge, visitors may order tropical fresh fruit-shakes and other delicious beverages. Guests shouldn’t miss the Fish Amok, a Khmer classic fish curry done Pierre Loti style. 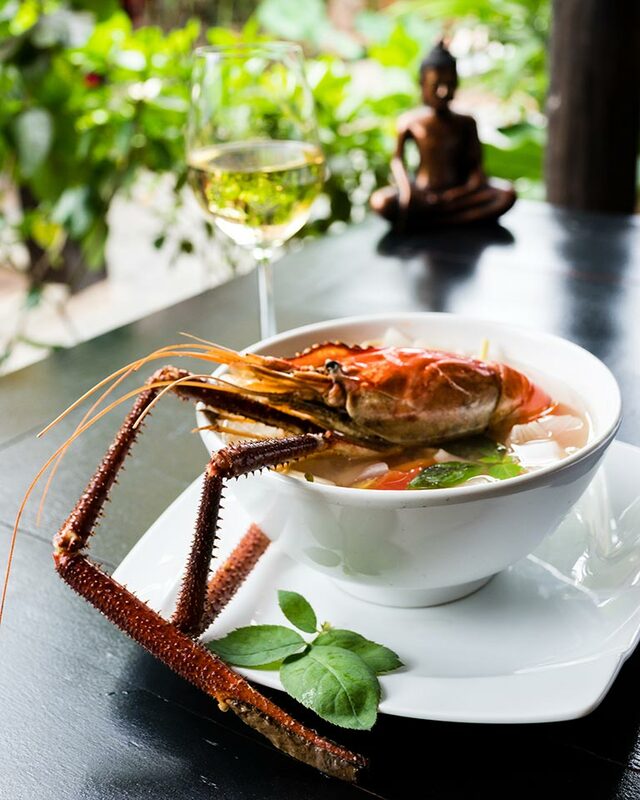 River Lobster Soup is a house specialty Khmer cuisine. 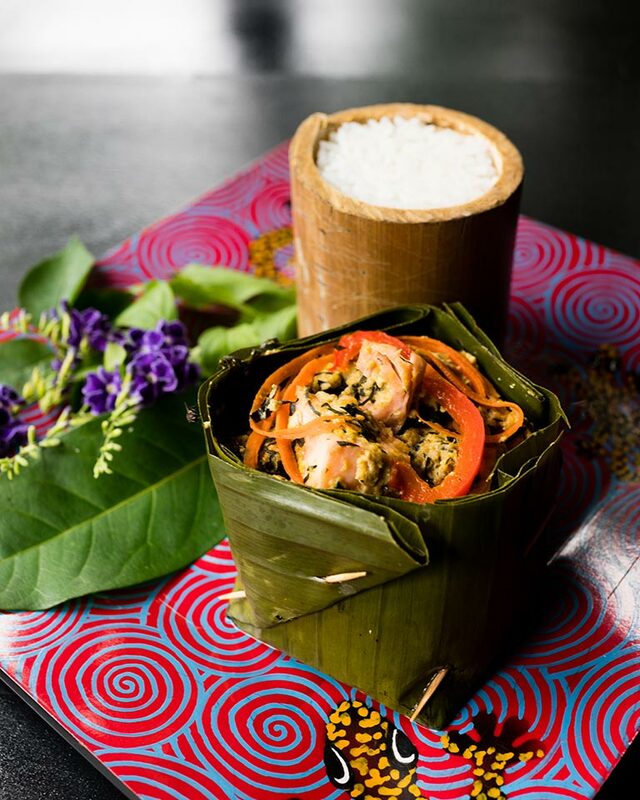 Breakfast in Pierre Loti is an event in itself with everything being sourced and made from the freshest ingredients in Siem Reap. 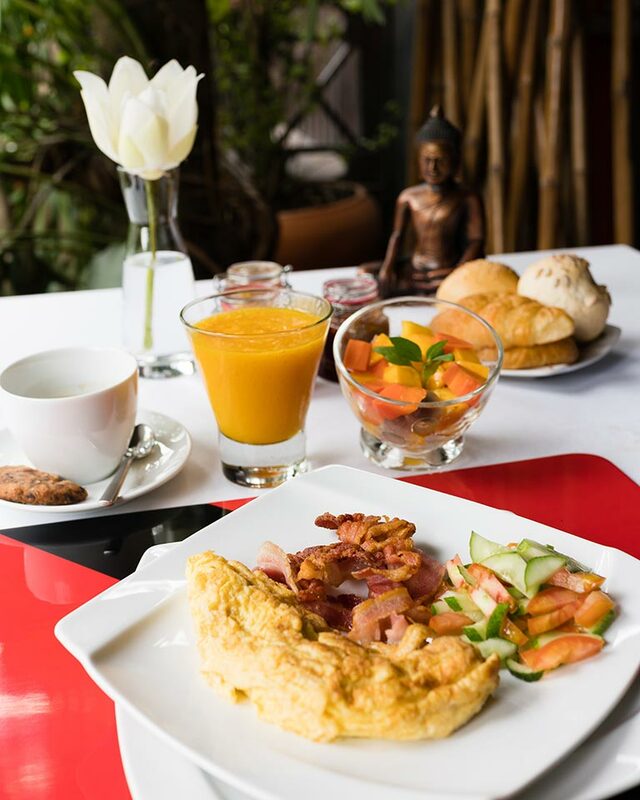 The a la carte breakfast starts at 6:30AM and includes a selection of homemade jams, yoghurt, fresh fruit salad, choice of fruit juices, various breads, traditional bacon & eggs, and freshly brewed tea or newly ground coffee. 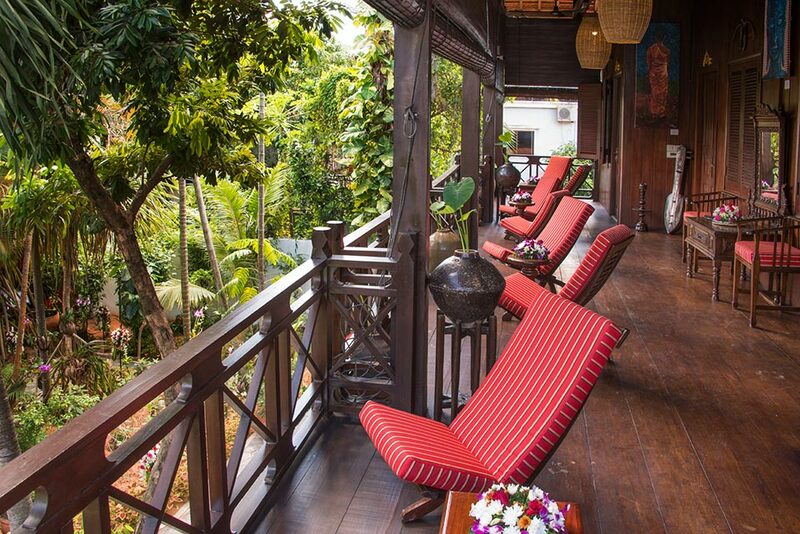 Margy and Pascal suggest having breakfast in the balcony overlooking a lush tropical garden. A traditional breakfast set that is fine, fancy and filling. Vegetarians should find comfort in the fact that the owners are very conscious about their needs, too. 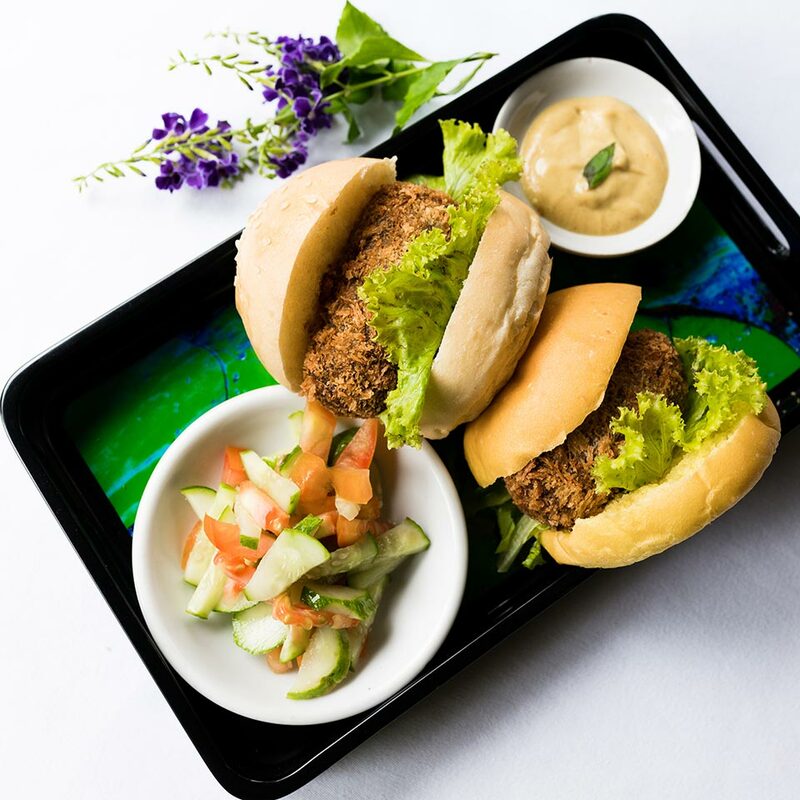 Their menu has a range of vegetarian-only food and will happily provide substitutes to the breakfast choices. 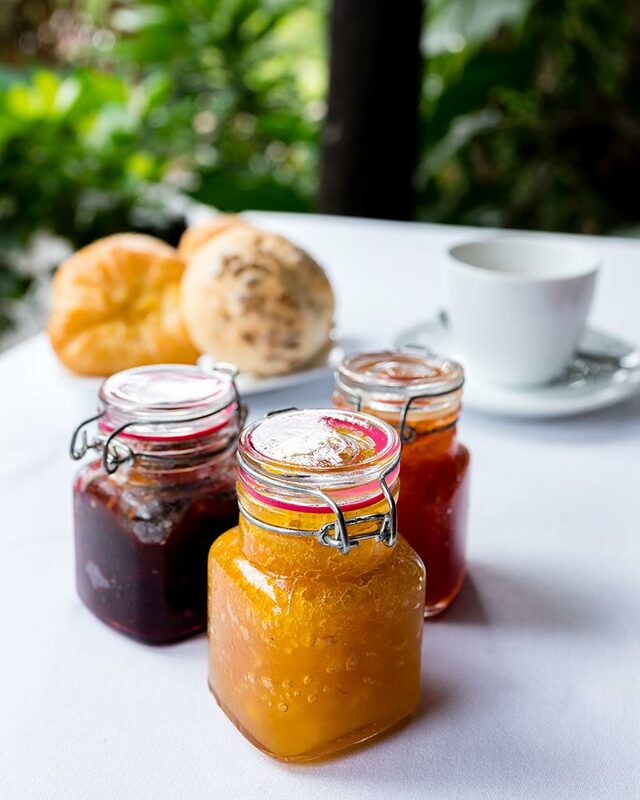 Homemade natural jams that are sourced from the Siem Reap province. 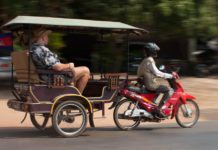 Resort La Villa Loti offers free airport or bus station pick-ups and has 5 in-house tuk-tuks that are able to shuttle guests around town or bring them to the ancient temples. 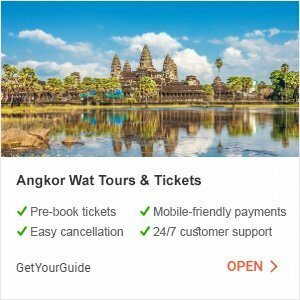 Guests need not stray far from their hotel as the highly recommended Angkor National Museum is just a 10-minute walk away. If shopping is one’s fancy, the T Galleria by DFS is in the same area as the museum. 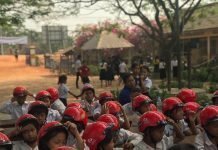 The Angkor Conservation Center is a well-kept secret, just 3 minutes away from the Villa, where unique Angkorian artifacts are kept. Not a lot of tourists know about this and it is a by-appointment-only basis. Thankfully, Margy may arrange this for hotel guests. The Villa does its part in caring for the environment and is run as plastic-free as possible. Bamboo straws are used for drinks in place of plastic ones and there are porcelain shampoo and shower gel dispensers in each bathroom. The resort is also a proud supporter of Refill – Not Landfill, an initiative that aims to reduce the amount of waste caused by plastic bottles by giving tourists the option to purchase reusable aluminum bottles which they can refill for free at participating hotels, stores and stalls around Siem Reap and in the temples of Angkor. Lovely reusable aluminum bottles by Project Refill – Not Landfill. Resort La Villa Loti’s greatest asset lies in two names – Margy and Pascal. Hotel patrons need only to say it and the amazing duo will do their best to deliver. 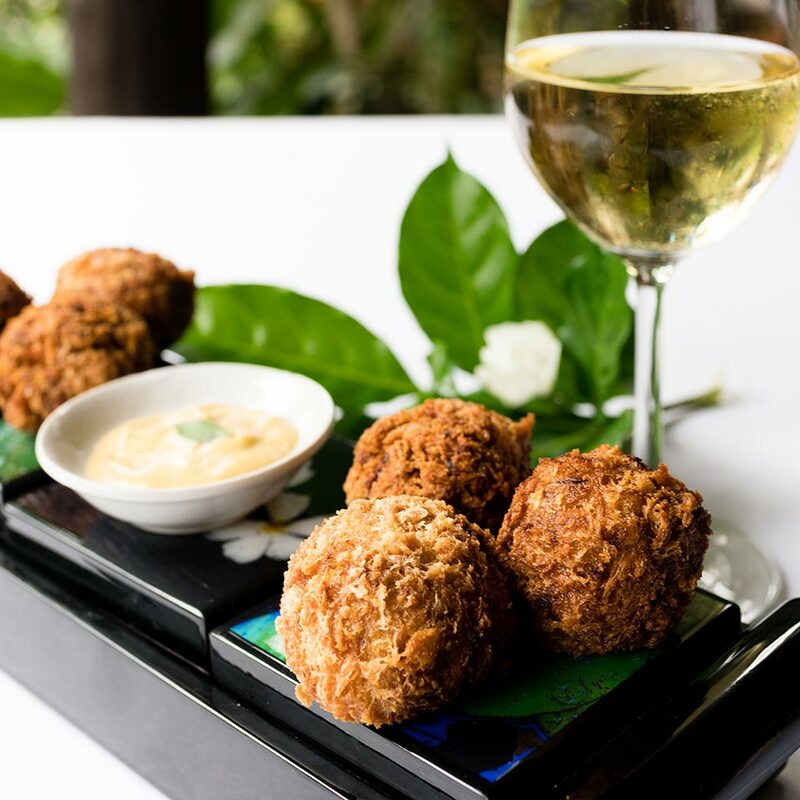 From pampering spas to temple insights and well-researched insider tips, to fine wine selections, they have got everyone covered. 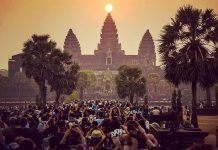 A truly bespoke experience that will make every stay as unforgettable as visiting the grand Angkor Wat. 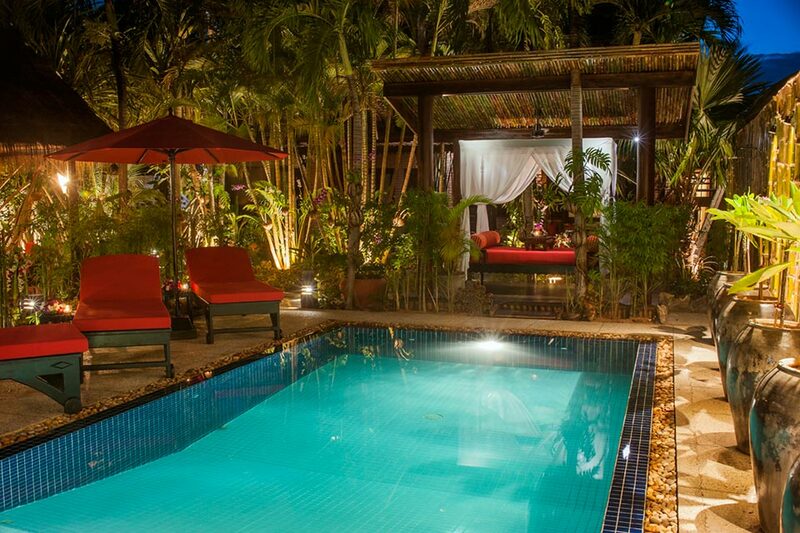 As if the hotel’s features can’t get any better, Resort La Villa Loti also offers amazing packages such as a 3-night stay inclusive of massages at an unbeatable rate. 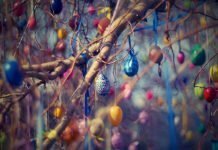 There are also amazing offers such as the Last Minute Booking, Early Bird and Festive promotions.